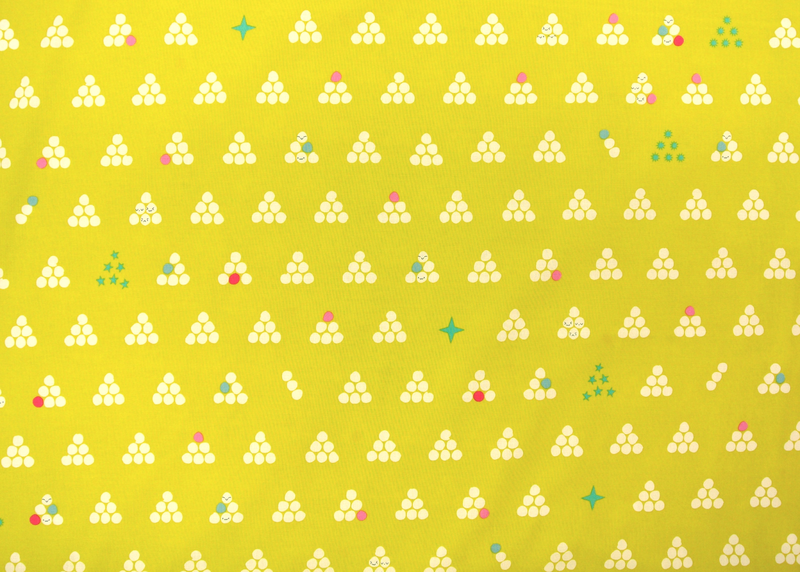 We already looked at some beautiful cotton prints from Cotton + Steel, but they also offer a range of silky cotton lawn and cloudy soft double gauze, perfect for soft spring dresses, blouses, and skirts. Take a look! We have an amazing collection of fabrics from hip new design group Cotton + Steel. We love their quirky, retro style and nature-inspired motifs. The prints below are in quilting-weight cotton and heavier cotton canvas. There's more Cotton + Steel fabrics coming up, so keep an eye on our blog, or come in and check 'em out! Learn to sew Victorian petticoats to give the proper silhouette to historic gowns. In this class, you'll construct a petticoat, bustle pad, and chemise to create the base for a historic wardrobe. Keep it simple and functional, or get creative with ribbons, lace, and tucks. You will also learn some basic pattern drafting. To register, call us at 651-698-9690 or stop by the store. To see our full listing of classes, visit treadleyardgoods.com/classes. We have bright new prints in the store from designer Amy Butler's Violette and True Colors collections, in quilting-weight cotton and heavier cotton twill. Amy's eye for color doesn't fail, and in these new designs we're seeing plenty of brights, but also a few calmer, monochrome looks that make perfect blenders. The medium-weight cottons make fun casual garments and of course great quilts, while the heaver twill weight fabrics are ideal for purses and bags, or more structured garments like jackets. There's always more to see, so come take a peek! We have a stunning group of rayon blend fabrics with unique design repeats perfect for placing at a garment's hem or other border. Unlike traditional border prints which place the motifs along the selvage, these fabrics have a wide, embellished stripe running from selvage to selvage, so you can place your pattern pieces normally on the straight grain and still get all the fun of a border print! 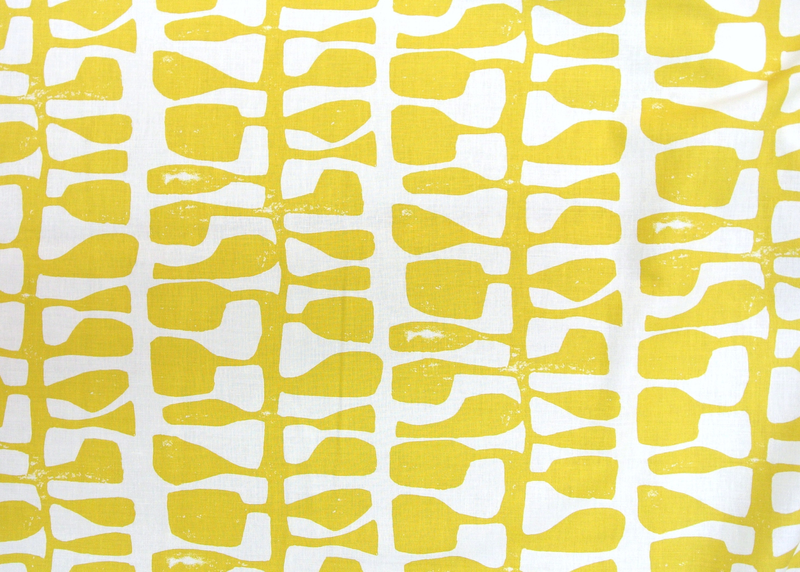 We have some fabrics from Lotta Jansdotter's new collection, follie. As always, Lotta brings her unique printmaking and stamping style to her fabric designs. Check 'em out! There are more Lotta designs in our store, so come and see! Beginning Apparel Sewing before the end of April!! REGISTER TODAY! Call us at 651.698.9690 or stop by the store. If you slept through Home Ec or never had the opportunity, this class is for you. We have a scrumptious new collection of Liberty of London Tana Lawn, in gorgeous muted colors perfect for early spring sewing. Take a look! From soft, elegant florals to whimsical characters and scenes, the charm of Liberty fabrics is something special. And the silky feel of this superior cotton lawn is wonderful to wear. Finally, let's just take a closer look at the Alice in Wonderland print pictured above. Delightful! We have even more Liberty fabrics in our store! We have some gorgeous new batik prints from Andover that are challenging our ideas of traditional batik. Bold, bright, modern, and graphic, these prints bring a freshness to batik style while keeping that richly saturated color and subtle variation we love.